Description: Shell conical, height to width ratio variable in range 2.2-2.7. Shell transparent when fresh, becoming opaque with age. Teleoconch up to 8 convex whorls with suture impressed. Whole surface sculptured with fine spiral grooves, 6-10 on penultimate whorl; axial sculpture absent. Aperture without siphonal canal; outer lip thin, slightly flared anteriorly; columella smooth, straight, umbilicus absent. Colour variable; unpatterned or with one or more pattern elements of brown lines descending from suture, large white spots below suture, or spiral row of white spots at bottom of whorls, continuing around periphery of body whorl. Operculum corneous. Sometimes with thin brown periostracum when alive. Distribution: Endemic to Australia: Keppel Bay, Queensland, around southern Australia to North West Cape, WA, including Tasmania. Comparison: Due to the variation in the species in this family, particularly in A. monile, there is not a high degree of certainty in separating the species. 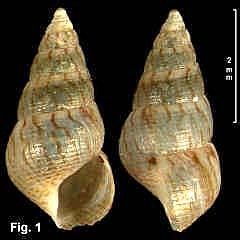 A. opiniosa is distinguished from the other species by always having fine spiral grooves. 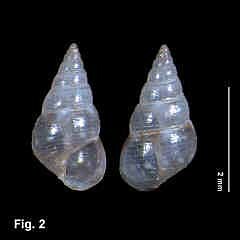 Styliferina translucida lacks spiral grooves, has well-rounded whorls and a more or less constant colour pattern. 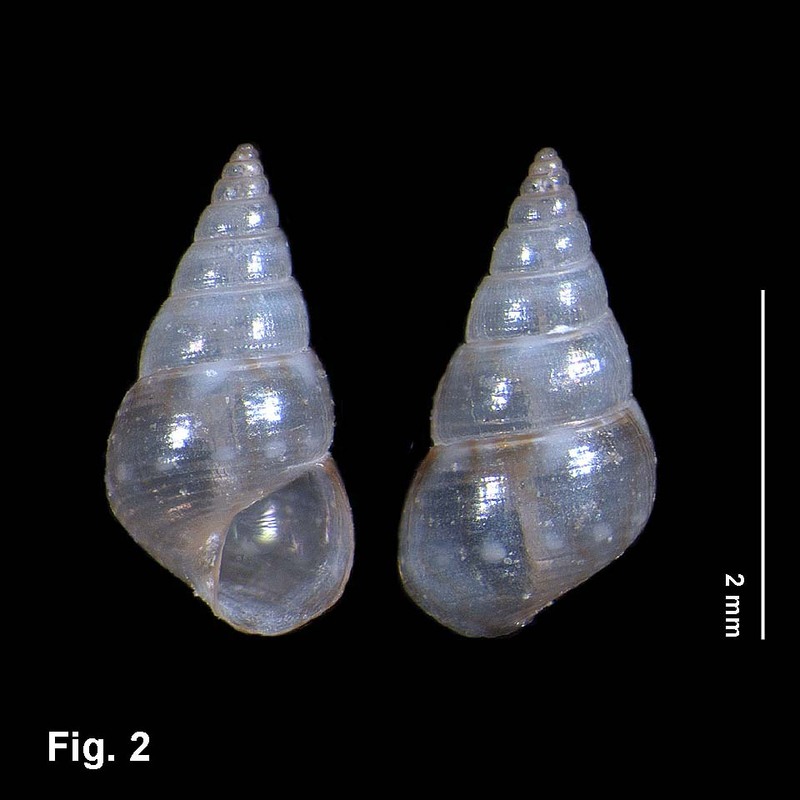 For A. monile, the nodulose and strongly marked specimens stand out, but the smooth forms are only assigned to the species because they form a continuum with the nodulose shells. Synonymy: This species is listed here as Alaba opiniosa (Iredale, 1936), which was applied to specimens from Sydney Harbour. 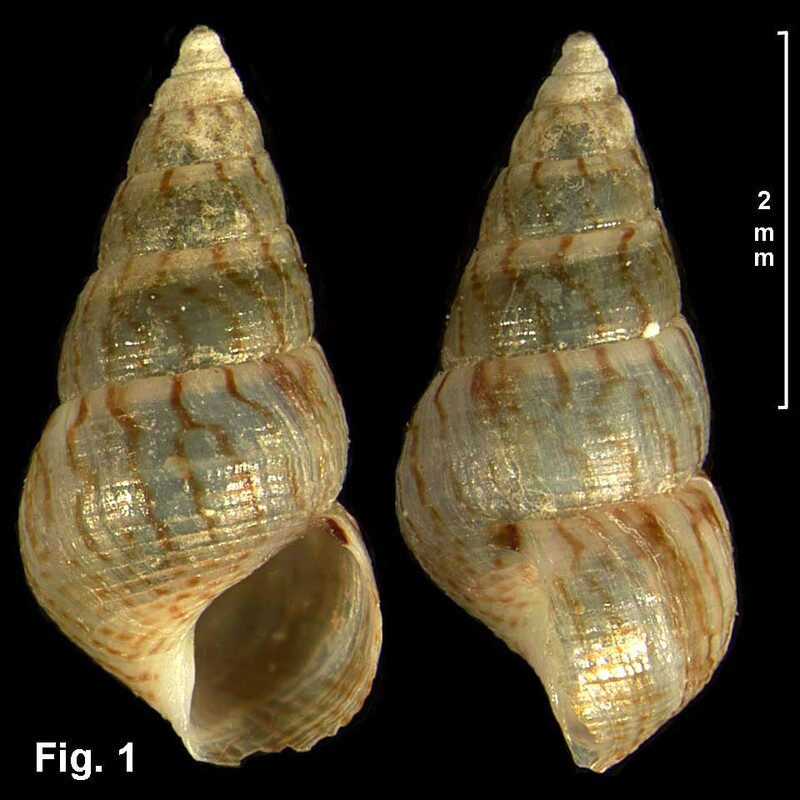 There are probably earlier names for the species, such as Alaba pulchra A. Adams, 1862, which has been used for South Australian, Tasmanian and Victorian shells. Remarks: Shells are transparent when fresh, becoming opaque and white with age. The white spots merge with the background on opaque shells, but the brown lines remain distinct. Various forms of this species have been recorded and named from each of the southern Australian states, but it is clear from the Australian Museum collection that the species ranges from central Queensland around southern Australia to central Western Australia. It is variable in shape but is consistent in showing spiral ribbing. The colour pattern is very variable, the spiral row of white spots being the most persistent element, but far from always present. Previous descriptions have emphasized the axial brown lines, but these are present in only a minority of specimens.